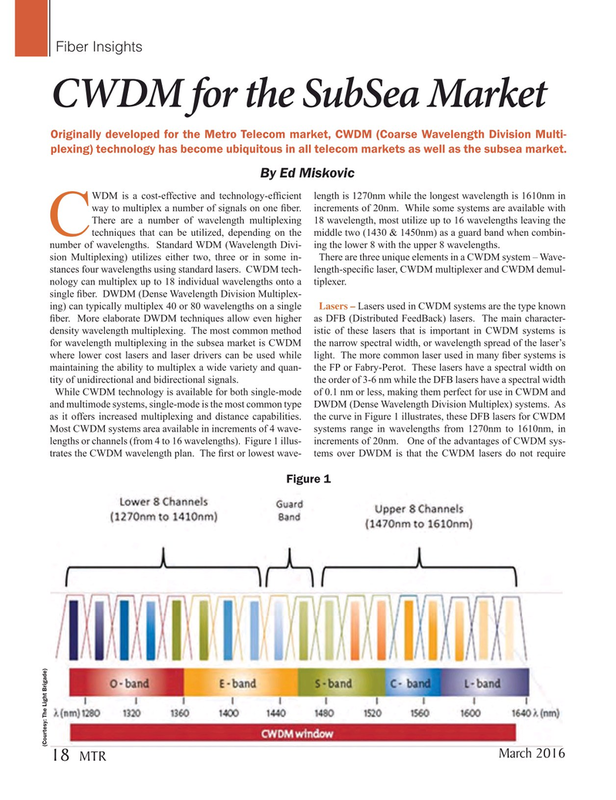 Originally developed for the Metro Telecom market, CWDM (Coarse Wavelength Division Multi- plexing) technology has become ubiquitous in all telecom markets as well as the subsea market. Ctechniques that can be utilized, depending on the middle two (1430 & 1450nm) as a guard band when combin- number of wavelengths. Standard WDM (Wavelength Divi- ing the lower 8 with the upper 8 wavelengths.